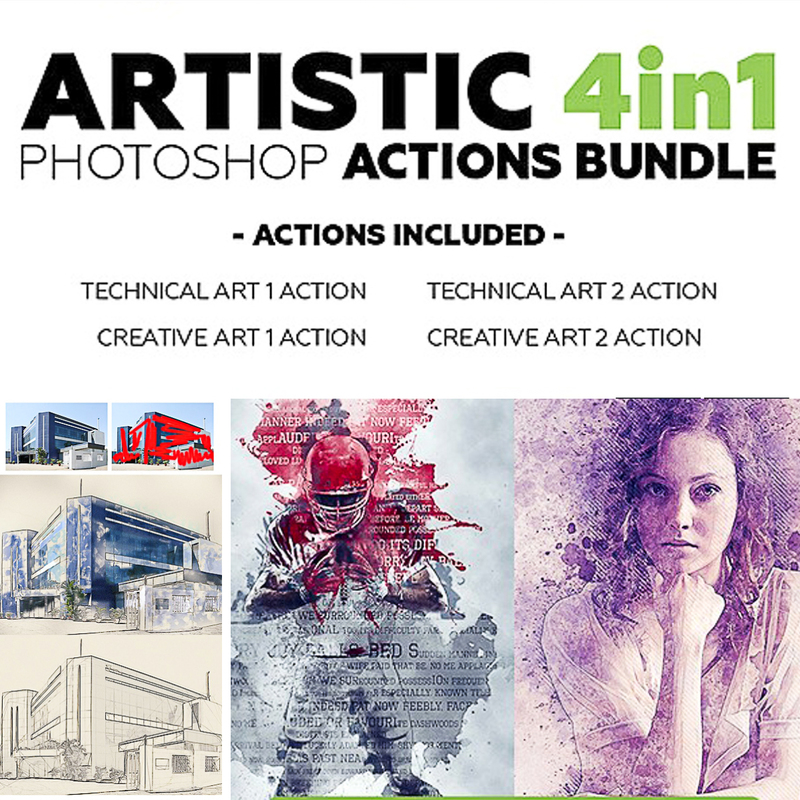 Create amazing, artistic effects from your photos with no work at all! 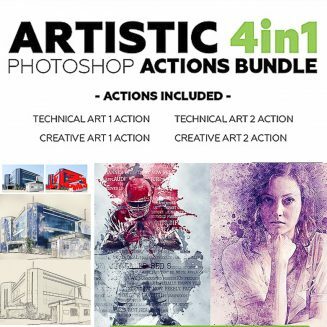 The bundle includes 4 products and each of them works so you simply brush over your subject and just play the action. File format: .abr, .pat, .atn for Photoshop or other software. Tags: acrylic, action, actions, art, artistic, brush, drawing, effects, foil, hand drawn, modern, oil, paint, pencil, photo effect, photography, photoshop, photoshop action, sketch, splatter, watercolor, watercolor art.